We Are Taxed Enough Already ~ VOTE NO! Capacity Numbers Do Not Add Up! School Capacity is the number one issue for the proposed bond according to the WISD Board of Trustees and administration. They would lead you to believe it is the driving force and the most urgent need behind this monolithic bond. However, when looking at the numbers, they just don’t add up. 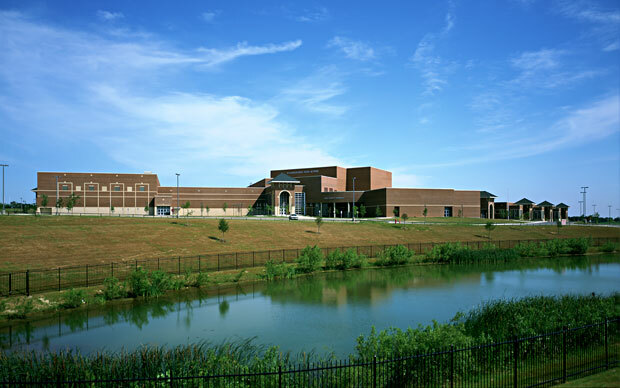 In a recent letter sent to various media outlets as well as put up on the Weatherford Independent School District website, Superintendent Dr. Jeffrey Hanks states that, “Currently, three of the District’s seven elementary campuses exceed the original building capacities (Austin – 104%, Curtis – 111%, Wright – 108%)”. Information from their own website and that obtained from a Freedom of Information Act request portray a very different picture. Utilizing the Weatherford Independent School District School Building Information Table (Table L-20 pgs 115-116) provided in the annual financial audit for the 2011-2012 year, school capacity for each of the three elementary schools in question are 750 students. Each school had a current 2011-2012 enrollment of 549, 749, and 623 students respectively. Excerpt of 2011 -2012 Financial Audit. Click image above to enlarge. An enrollment data table provided by the WISD administration in a Freedom of Information Act request and copied here in its entirety reveals numbers for two of the three schools that are significantly less than the figures we are led to believe by the Superintendent’s letter. * The three elementary schools in question. It does not take a mathematician to realize that both the 2013 enrollment for Austin Elementary at 566 and the 2013 enrollment for Wright Elementary at 643 is pointedly lower than the capacity of 750. Therefore, according to the WISD annual financial audit and the enrollment numbers provided by Weatherford Independent School District, the actual capacity for Austin Elementary is a meager 75% and that for Wright Elementary is a whopping 85%. These numbers are drastically lower than the 104% and 108% that are being touted by WISD Administration! The numbers simply do not add up! The Weatherford Independent School District Board of Trustees and Administration must be held accountable. The taxpayers cannot afford to allow the WISD to continue the liberal spending with no responsibility. Vote NO and AGAINST the proposed WISD bond on May11. Early voting is April 29 – May 7. Election date is May 11. For polling places near you, click here to view our polling places page. Have you actually seen what the proponents of this bond issue are asking for. Please visit the district website and see the complete list. Personally I see several problems with the bond proposal. It may be that moving the ninth grade to the high school is a good idea but why must they have a new gym and locker room space. Is it necessary to build a Career Tech Ed Center. How many new staff members will that require. The building is not the long term cost to the district. Long term cost includes admimistration, teaching staff, insurance, custodial and maintenance personnel etc. Not just a baseball field or softball field. We must pay for a baseball/softball COMPLEX. What about equipment, and staff to maintain these facilities. Is this a situation where we built an edifice for football and now must provide one for baseball, softball, track, tennis and who knows what. I mean do we need a lighted synthetic turf field. Do we not have a track at the football COMPLEX. Is this the time to build an AG barn and if it is do we need a practice arena. How about building a golf course for the golf team! And just to insure that everyone is onboard let us build a new maintenance/transportation facility. Gosh folks, I am sure that some of these items are needed but at what cost. Look at the latest district audit. In a tough time with less money from the state the district managed to put money into the general fund. Compare the administrative staff numbers and salaries to that of the teaching staff. Too, take a look at what it cost to maintain the Superintendent, his assistants, and his office for one year. Patrons, I was a school superintendent. I know how easy it is to use a group of citizens, business professionals, and staff members to put together a proposal for a bond issue. It starts out small and grows into a proposal where everyone gets what they want. Everyone except the ones who are paying for. Have the board revisit this issue and vote no in May! Clearly not a very good superintendent, and probably not in Texas if I were guessing. The new C&T building doesn’t require new staff members. You are just moving existing teachers to new buildings. I am not sure what you mean by compare administrative staff salaries to the teaching staff. They compare quite well and are in line with other similar districts. Vote YES! Clearly this is another citizen who doesn’t have an interest in the school district, and consequently, doesn’t see a need to pay anymore than he has to. Stephen, could you define ‘an interest in the school district?’ While you’re at it, look at the link I’ve included below from USC, then please come back with a rational argument for more money. Thanks for your wise observations, Paul. I find this proposal to be unnecessary as well as ill-advised, And certainly not a prudent or perspicacious move by the WISD “stewards”. They should all be replaced.